Home / 2018 / Abstract / ADI / ADMG / Congresso Internazionale ADI-ADMG / ''Let´s check! ''- a review of 10 year-experience of the German skin cancer screening program. ''Let´s check! ''- a review of 10 year-experience of the German skin cancer screening program. In 2008 Germany was the first European country to introduce a biennial nationwide skin cancer program starting at the age of 35. Dermatologists as well as general practitioners contributed to this screening program. All doctors underwent an eight-hour training program before participating. The author was one of these training dermatologists. Statistical analysis of the data of the nationwide screening did not show a decrease of the melanoma mortality rate in Germany in the last decade. According to the Institute of Quality and Patient Security 1,1% of all screenings in 2010 were positive (0,12% melanoma, 1% non-pigmented epithelial skin cancers). The author`s office treats about 17.000 patients on average per year and between 2008-2017 more than 30.000 skin cancer checks were carried out. In total 3143 (10%) non-pigmented epithelial skin cancers and 374 (1,2%) melanomas were detected between 2008-2017. The data clearly indicate an increase of all skin cancer rates from 2008-2017. In particular 44,8% more non-pigmented epithelial skin cancers were detected, and there was a clear rise of the detection of early in situ melanoma T1 (50% of all melanoma cases), whereas the rate of high risk melanoma did not differ between 2008-2017. As a personal suggestion for a more successful nationwide screening method the author claims the use of the dermatoscope, commonly used in most dermatologists. So far the dermatoscope is not compulsory in this screening method and should be introduced as a necessity for a more precise diagnosis. In addition more and possibly annual training lessons for non-dermatologists should be discussed to increase the general detection rate of skin cancers. The unchanged rate of high risk melanoma might explain the unchanged mortality rate. 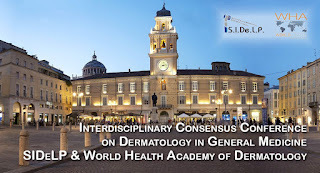 The author sees a higher necessity in early detection, classification and treatment of non-pigmented epithelial skin cancers, as well as a documentation of interval cancers and skin cancer risk factors. In neglecting this fact we are likely to face a high epidemiological problem in the future. A more frequent detection of amelanotic melanoma (“red melanoma”) and other atypical tumors (like Merkel cell cancer) could also be quoted by the author in favour of this well established but also criticized skin cancer program. On the whole the German skin cancer screening might have a “lighthouse function”, which offers opportunities for better and earlier skin cancer detection although amendments should be made.